Apartments Ivan Šare in top center of Crikvenica are the right place for your vacation. The house is located in the center of Crikvenica, only 50 m from the nearest beach in Crikvenica, bus station, a few meters to the restaurant and main market. On the ground floor there is a massage salon. We have a large apartment for 6 to 8 people with three bedrooms that can be separated into 2 smaller apartments, one for 4-5 persons and a smaller studio apartment for two people. We are at your disposal for your vacation in Crikvenica. From the apartment there is a large terrace with barbecue which our guests can use. Suitable for families with children. Free parking is provided for our guests. The nearest grocery store and restaurant are just a few steps from the house. Each apartment has a terrace or balcony overlooking the sea. In the apartment you can use free wireless internet WI-FI. Apartments Ivan Šare are modernly equipped and newly decorated. Whatever you want to do during your vacation, we guarantee you a great and pleasant vacation with us. Thank you for visiting our pages. 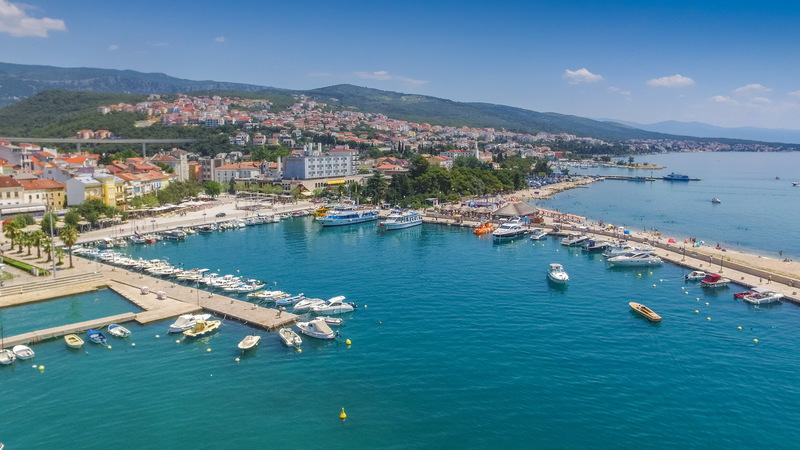 We welcome you to spend your summer vacation with us in Crikvenica, Croatia. Have a lot of fun with your family or friends in our cozy apartments Ivan Sare. Croatia country on the northern coast of the Adriatic Sea with beautiful beaches and a thousand islands is the perfect destination for your vacation. Spend the summer with us in apartment 33 with a beautiful view of the sea and the island of Krk. Welcome to Croatia. With by Apartments Ivan Sare © 2017. All Rights Reserved.